Dyan Reaveley DYLUSIONS JOURNAL Ranger DYJ34100 at Simon Says STAMP! DYJ34100 /36.5 This item is on reserve until If you would like to reserve this item now, you may purchase it now with the rest of your order. We will hold your order now and ship your entire order as soon as this item is back into stock. If you would like your order to ship now, please place this item on a separate order. 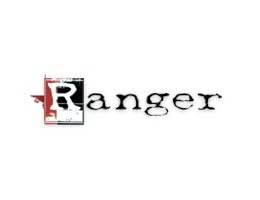 Success, Dyan Reaveley DYLUSIONS JOURNAL Ranger DYJ34100 has been shared! Dyan's perfect journal - a blank journal that features durable mixed media cardstock, ideal for the application of Dylusions Ink Sprays and techniques using water, inks, paints and mediums. The journal cover is made from sturdy chipboard and filled with 64 unlined pages for endless paper crafting creativity. -Cover measures approximately 11.8125 x 9 inches; book pages measure approximately 11.375 x 8.25 inches.